Eeva Päivärinta is a Leading Specialist in the "Active citizen - at all ages" focus area. Eeva has decades of experience in developing Finnish social and healthcare services. She joined Sitra from the City of Tampere, where she had been Purchasing Manager of Senior Citizens' Services since 2006. During her time with the City of Tampere, Eeva also made her national expertise and development skills available in various roles. Eeva's motto is: "Where there's life, there's hope". This series of articles – Sitra Trends – reviews the trends listed by Sitra during October 2014, from a variety of perspectives. Nothing is like it was in the past. The active grandfather surfing the internet is a long way from the image of the pipe and slippers. Many people cope well when they are elderly; but some need a lot of support and services much earlier on. The latest care technology, as part of the safety net for an ageing society, is an underused opportunity. Older people help sustain our well-being and economic networks. My father was born a hundred years ago. There were twelve children in the family. Half of them died under the age of 10. The wars took their toll. Four of the children made it into old age. “I remember from my childhood both my father and my uncle growing old. My father lived until he was over 80, though he was blind in the last few decades of his life. My macular degeneration was treated and my sight was good enough to read my entire life,” said dad, smiling. “I remember from my childhood an old lady who had been born disabled in a cabin nearby. She lived next door and represented support and security when I was a kid. When I was a young adult I went to see her at the retirement home. My mother was the proper housewife, working from morning to night. She was remote,” the story continued. After the Second World War, there was a serious housing shortage. The nation began to build and develop orphanages and homes for the disabled, the sick and adults and old people who had suffered a good deal. Midwives, nurses and carers looked after mothers, children and families. Social workers from the Church cared for the elderly in their homes. The welfare programme expanded, and from the 1970s retirement homes were keen to provide good conditions for more and more old people. Society aimed to provide old people with the rest, food, comfort and living environment they deserved for all the hard work that this generation that had come through. The common wards in the retirement homes made up for the unsatisfactory housing conditions. With the Public Health Act, those elderly people who were the most seriously ill were transferred to health centres for long-term care. The old sick bays in retirement homes were consigned to history. Things seem to be changing fast. Finland changed from a post-war, two-generation society to one that comprises as many as five generations. People actually turned grey! The birth rate fell and life expectancy gradually crept up. We had become a society of older people. The image of the elderly is changing or slowly diversifying. It is the post-war baby boomers who are now going through the first phase of old age. Life is getting longer. A larger number of people than ever are active people nearing the age of 100, though they include a lot of people who need help on an everyday basis a lot earlier. A significant number are growing old although, almost inevitably, disease is destroying their memory. It is difficult to find two people alike in any group. People’s general attitude to old age still tends to be dismissive. The way old people are viewed is indicative of attitude. The talk focuses on the problems and failures in encounters with people and work with the elderly. The notion of a long life as a gift, its significance and opportunities for making choices and otherwise having an impact on one’s own existence is something that people are gradually becoming aware of. People no longer dream about putting up their feet and kicking back in old age. 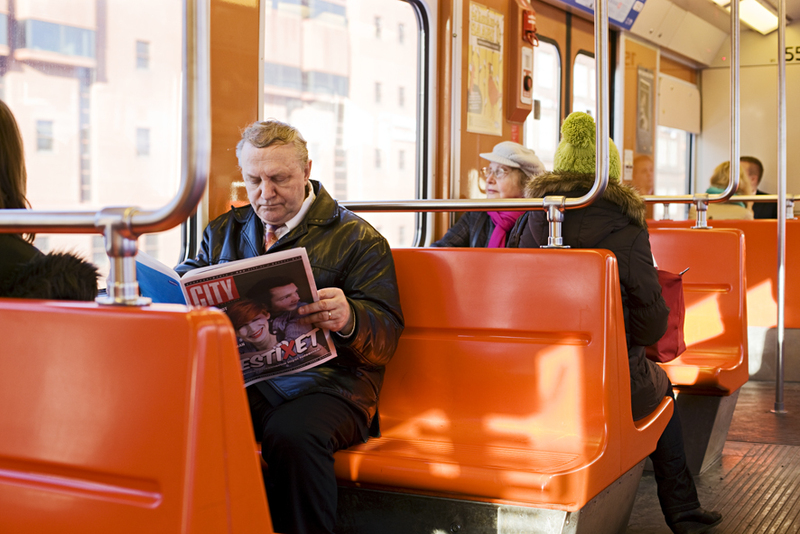 The ageing population in Finland have been to school, are literate and are ever more educated. They possess all the tools they need for lifelong learning. However, there are still elderly people who do not have the ability or opportunity to update their skills or use their knowledge. Older people want more support and knowledge to improve their technological skills to make their lives easier and give them a greater sense of security in their homes. Cleaning services are well established. We have moved into a new age. People expect more and more from e-services and many older people often use Skype to contact young people who live far away. Today, older people want to have a say, get involved as volunteers or work in a way that suits them. They want to take responsibility for their own well-being and support those around them when things get tough. Older people are a resource and are part of the social and economic network that sustains our well-being. The old know an awful lot. Good, up-to-date guidance and advice as well as an explanation of the services and support that are available are the prerequisites for independent decision-making. A visit to Palvelutori (Service Forum) will provide the necessary paths to information and provides a safe place to purchase services for the home, even if one’s memory and powers of concentration are not what they might be every day. The solution-driven approach means that people hear what I have to say and I benefit from the competence of an expert. In this way, good and timely decisions are taken and I can get back on with my life at home. Things have gone well in the public sector – too well. There has been continued innovation and high technology has been introduced in healthcare and treatment. Amid this flurry of activity, though, everything that is old and traditional has been adhered to. Well-meaning state supervision has evolved into an ever more stringent set of norms that can be stifling. People do not think twice about investing in a car and spending hundreds of euros on servicing it, but society as a whole is expected to pay for the costs of keeping people healthy. People find fault with the public authorities and policymakers for not daring to prioritise, but what is the point if at the same time people cling to and insist upon having everything they have had up to now and even a little bit more? If only people took a chance to clear the air and would identify areas of overlap and inflexibility in social welfare and healthcare, as well as multiple supervisory and administrative structures, resources would be freed up for something else. If patient and client details were entrusted with citizens to possess and manage, e-services would be introduced, there would be greater confidence in the possibilities of telemedicine and people’s ability to assess their own state of health using adequate and reliable information, and we would reach a stage too where there would be enough money to guarantee what is reasonable to ensure a long life. We could fully enjoy the fact that life is long and tomorrow is another day. Futurists Release Major Report: What Public Health Might Look Like in 2030. S&P ‘Global Aging’ A Bigger Threat to the US than ‘Global Warming’. Palvelutori – Ohjaus- ja neuvontapalvelu ikäihmisille (Service Forum – a Guidance and Counselling Service for Older People) (Sitra reports 82, PDF; in Finnish). Vapaaehtoistoiminnan mahdollisuuksista ja esteistä (The opportunities afforded by voluntary work and the barriers to it) (Finnish Competition and Consumer Authority reports, PDF; in Finnish). Enemmän tilaa kuntie sähköisille palveluille ja innovaatioille )More room for local authority e-services and innovation) (in Finnish). Sitra carried out projects relating to services for senior citizens between 2013 and 2015. Senior citizens are an asset to our society. They want to take responsibility for their own lives and make decisions concerning their own services themselves.